Why are the markets moving higher? Companies are churning out profit, and the economy is healthy. Tariffs, inflation, higher rates, and just about anything else that could spook the markets have taken a back seat. Investors care more about the fundamentals than they do the noise coming out of Washington. Stocks were up again Monday. The Dow rose nearly 200 points, pushing it back into positive territory for the year. The Nasdaq, the market exchange that's home to Apple (AAPL), Amazon (AMZN), Microsoft (MSFT) and many other American tech giants, is now up nearly 10% in 2018. Friday's jobs report provided a Goldilocksian just-right scenario for bulls. Hiring and pay are going up, but wages aren't rising so dramatically to spark fears of rampant inflation and aggressive rate hikes from the Federal Reserve. "Investors are looking at the broader data from the US and saying, 'We're still doing okay,' -- especially compared to the rest of the world," said Paul Nolte, portfolio manager with Kingsview Asset Management. "The market isn't concerned with politics in the long-term. It's focusing more on earnings and the economy," he added. And the numbers continue to paint a fairly pretty picture. According to estimates compiled by FactSet, analysts are predicting earnings growth of 18.9% in the second quarter and a continuation of double-digit growth for the rest of the year. So even if the increase of 24.6% from the first quarter winds up a "high water mark" for earnings, as Caterpillar management warned it might in April, investors seem to realize that a nearly 20% increase in profits for the second quarter isn't too shabby. Companies are also showing optimism about the future by using more of their cash and stock to scoop up other companies. Merger mania is alive and well, with more than $2 trillion in deals announced already. Microsoft's $7.5 billion purchase of the red hot startup GitHub, a coding company that's beloved by many leading software developers, is the latest example of how big companies are looking to grow their profits even further through acquisitions. 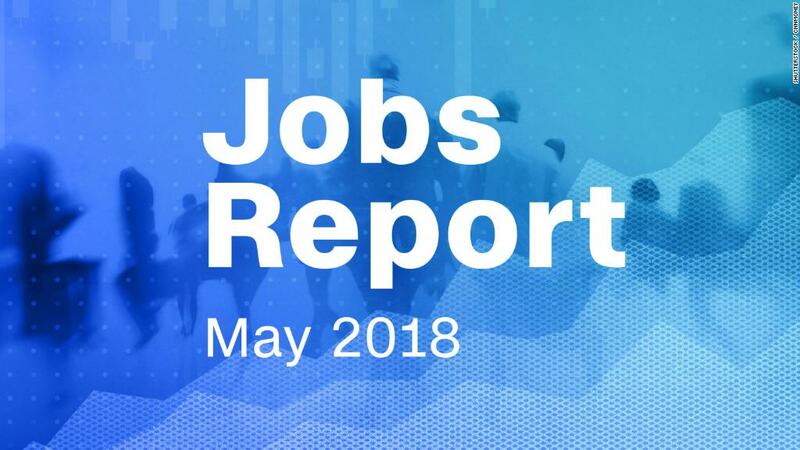 The jobs report showed that economic growth remains healthy in the United States. The Atlanta Fed's latest forecast now calls for 4.8% growth in gross domestic product -- the broadest measure of the economy -- in the second quarter. That may seem like a stretch, but the New York Fed's less bullish forecast of 3.3% is still extremely strong too. Vincent Catalano, global investment strategist with Blue Marble Research, said that investors -- particularly the managers of giant mutual funds and hedge funds -- need more tangible reasons to sell stocks. And they just aren't there right now. At worst, Catalano thinks stocks may remain stuck in a narrow range for the next few months because of all the "howevers" and "yeah, but" excuses investors may find to keep them from getting more bullish. But that's not the same thing as doom and gloom. As for that ongoing trade saga? Nolte thinks investors are growing immune to all the flip-flopping from the Trump administration. They seem to be betting that nothing can be taken at face value. It's all part of an ongoing public negotiation. "The markets are learning that the tactic that's being used by the Trump administration is go for everything and then dial the expectations back. Whatever was said today or last week is likely to change in the coming weeks," Nolte said.